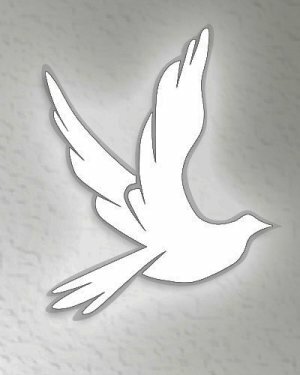 Obituary for William C. Saltzgiver | Kenworthy Funeral Home, Inc.
William C. Saltzgiver, 88, of Hanover, PA, entered God’s Eternal care, Friday, February 8, 2019 at his home with his loving family by his side. Born April 24, 1930 in Hanover, PA, he was the son of the late George A. and Grace A. (Lippy) Saltzgiver. Bill was the loving husband of Roswitha “Rita” U. (Nickey) Saltzgiver with whom he shared eighteen years of marriage, and the late Lillian M. (Brumgard) Saltzgiver, with whom he shared fifty-one years of marriage, until her passing on May 5, 1999. Bill retired in 1996 from Saltzgiver’s Incorporated, a tractor sales and service center in Hanover, PA, where he was an owner and president for over fifty-five years. 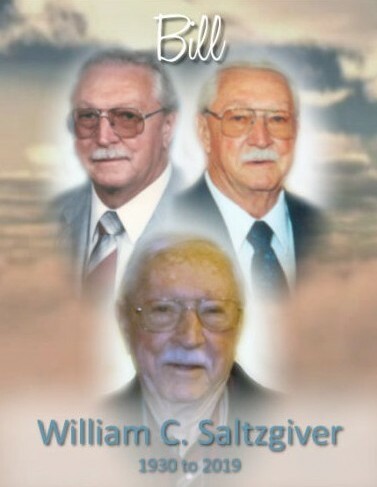 Mr. Saltzgiver was a member of St. David’s Evangelical Lutheran Church, Hanover, PA, where he was active in the men’s group, the church council, and various committees. He was a member of Gideon’s International, the Christian Business Men, Delegate to ELCA, and the PA Dealers Association. Bill was an avid hunter, having hunted throughout the United States, Canada and Africa, and took great pride in his numerous trophies. He loved to travel and spend time with his family. Bill is survived by his children, Sharon L. Dubs and husband W. Barry, Daniel A. Saltzgiver and wife Karen, Kelly A. Honeycutt and husband Frank; a step-daughter, Deborah L. Rorrer and husband Richard; seven grandchildren; five step-grandchildren; four great-grandchildren; one step-great-grandson; a brother, Larry L. Saltzgiver; and a sister, Ruth Myers. He was preceded in death by an infant son, Andrew W. Saltzgiver; and three brothers, George Junior Saltzgiver, Robert H. Saltzgiver and Leroy H. Saltzgiver. A funeral service to celebrate and remember Bill will be held 11:00 AM, Thursday, February 14, 2019 at St. David’s Evangelical Lutheran Church, 1032 Musselman Road, Hanover, PA, with Rev. LaDonna Thomas officiating. Viewings and times to share memories with family will be held from 6:00-8:00PM, Wednesday, February 13, 2019, at the Kenworthy Funeral Home, Inc., 269 Frederick Street, Hanover, PA and from 10:00-11:00AM, Thursday, February 14, 2019 at the church. Bill and the family would like to thank Emily and Courtney from Asera Care, who gave excellent care during Bill’s final months. In lieu of flowers, memorial contributions in Bill’s name may be made to Gideon’s International, Gideons International Processing Center, P.O. Box 97251, Washington D.C. 20090-7251, or to Asera Care, 984 Loucks Road, Suite 1, York, PA 17404.